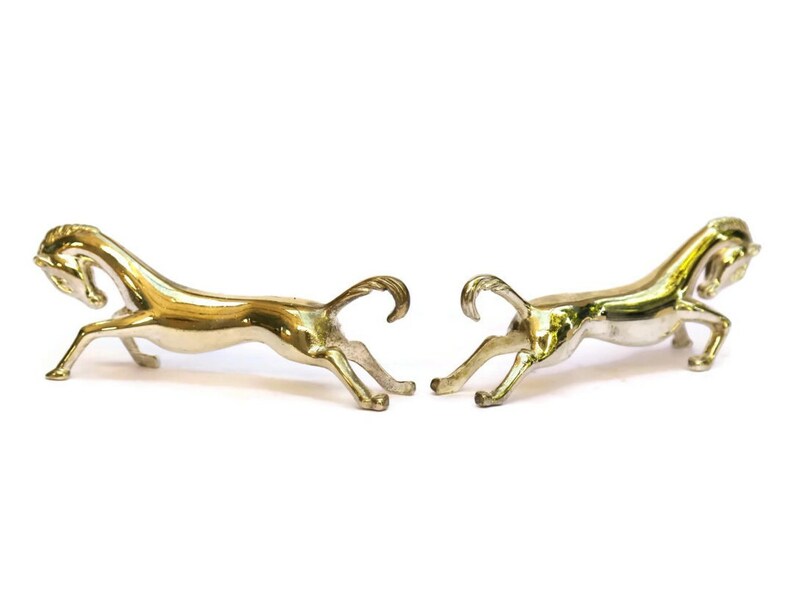 Silver Horse Figure Knife Rests. French Silverware Cutlery Rests. Vintage Silver Plate Table Decor Horse Figurines. 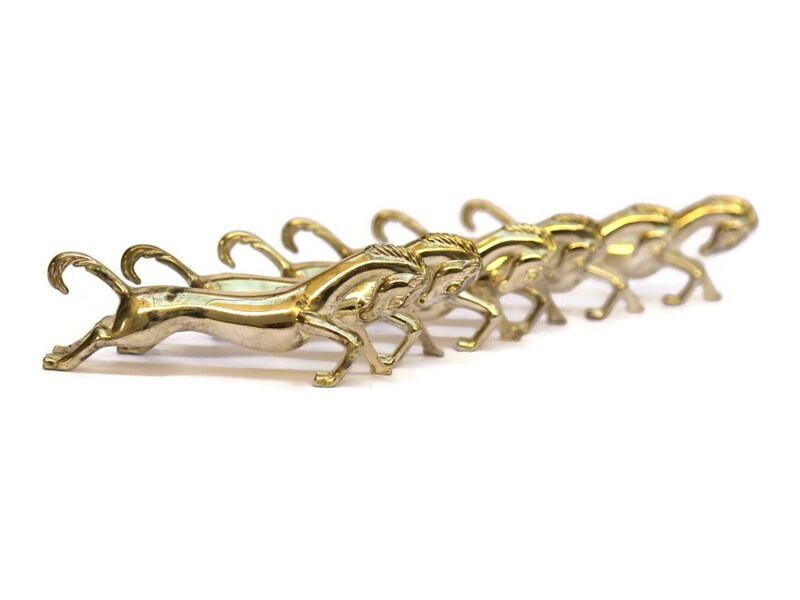 A stylish set of 6 French knife rests that have been created in the form of galloping horses. 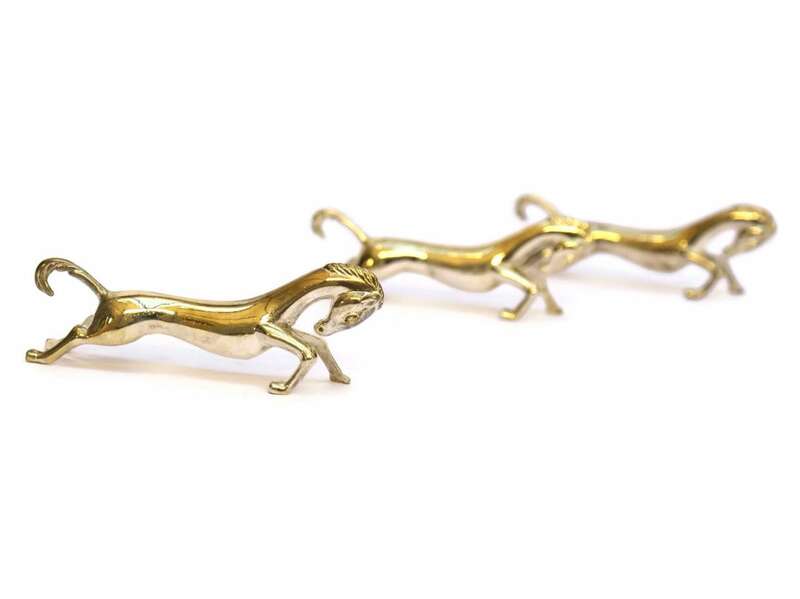 Each of the figurative knife rests has been plated in silver. The metal cutlery rests each measure approximately 3" long and stand 1" high (8cm x 3cm). 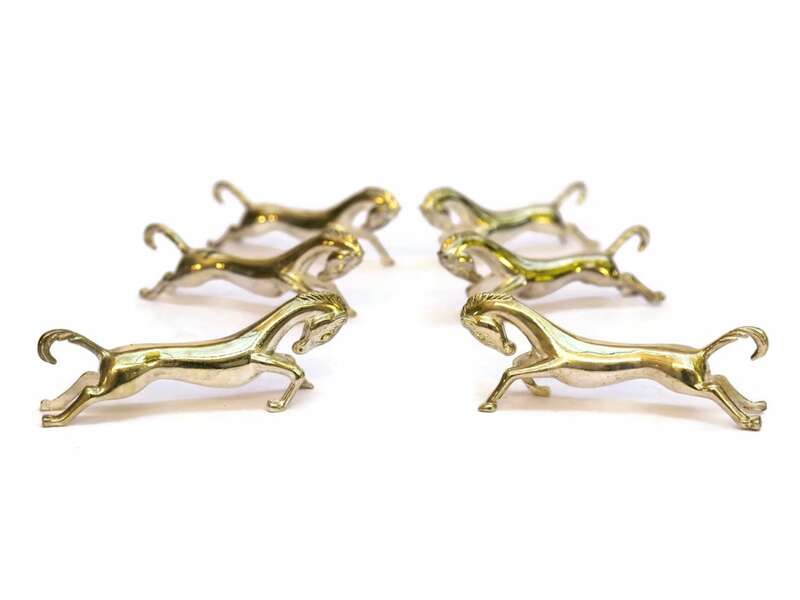 The set of 6 French knife rests are in very good condition. Item ref: Silver Horse Figure Knife Rests. 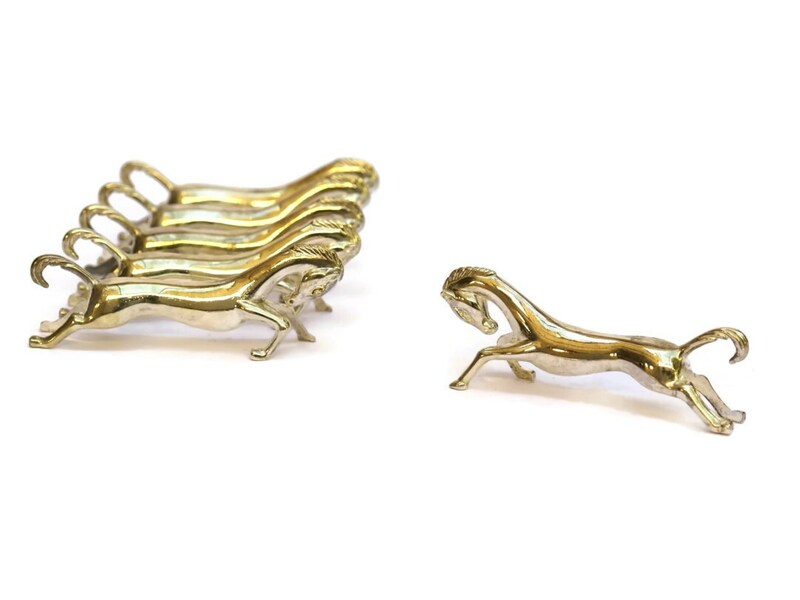 French Silverware Cutlery Rests. Vintage Silver Plate Table Decor Horse Figurines.